Can I let you in on something? I have no clue what I’m doing. So I decided a long time ago to just keep showing up, doing the next right thing. I keep doing what I do, the messy, the uncomfortable, the beautiful, the grit and look for the Truth Teller in all of it. It’s breath-taking when I see his hand in it. Those moments where HE meets you are life marking moments of change, bridges, and truth. I keep showing up for my three kids who find me super cool and cheesy because I write “Please Excuse My Kid” notes on napkins, I let them eat cake for breakfast, and I let them wear super hero uniforms for class pictures. We aren’t perfect in the least but we do call ourselves the Riggleman Crew and do the best we can to support our team. #RaisingRigglemans. So here’s to being messy fragments, colorful and holy. Perfectly flawed but free to be who we are. Being perfectly imperfect while chasing after the perfect God. To learn about the latest happenings in the community, online and where I live. Learning to feed your body and soul. I LOVE gathering friends and family around the table. I LOVE even more the cooking process to nourish them (even if I set things on fire). 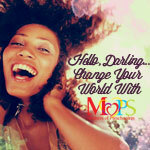 Reflections on life and how to focus on really matters as a woman and mom. So exactly is in it for you? A quick recap: Tips, advice, and transparency from one caffeinated chick to another, a chance to connect with someone who is willing to be real. Join me, talk with me and share. 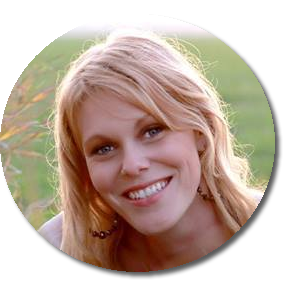 Award winning free lance writer and journalist Heather Riggleman formerly worked for the Kearney Hub Newspaper as a Life Styles Journalist and is the columnist of Chasing Perfect. The popular column garnered attention from fans nationwide as she writes with transparency about community, gathering around the table, motherhood, and leggings. Her column won first place in the state of the Nebraska through the Nebraska Press Women. Her column also received national attention winning third place by the National Federation of Press Women. The Kearney Hub was nominated on behalf of Heather’s news coverage serving nonprofits in the Kearney Area, earning runner up in the Step Forward, Serve Nebraska media category. Heather has also earned three different awards from for her contribution to Leading Hearts Magazine. Her work has been featured in Today’s Christian Woman, Proverbs 31 Ministries, We Are Teachers, and Focus on the Family. In 2012 Heather’s first book Mama Needs a Time Out was published with eChristain. Now out of print, she’s toying with the idea of adding new content to re-publish. She was also the founder of Her View From Home, a popular online women’s website with Nebraska roots before accepting a job at the newspaper. Her latest trail blazing path included becoming the Content Director of HT: Living, Nebraska’s newest magazine covering six categories from Home, Food, Fashion and Outdoors. She currently works at the University of Nebraska at Kearney in the Academic Success Office helping college students find their grit to pursue their dreams. Heather firmly believes life should be inspiring. That’s her perspective as she window shops in small Nebraska towns, chugging down her favorite coffee or brings stories to readers about living the Good Life. She uncovers the people, the lifestyles, and the wonder of this messy, chaotic but beautiful life. She is a mom to three amazing, wonderful, awesome kids, Cheyenne, Elijah and Tori-Grace and is married to her high school sweetheart Chris for 18 years. You can find her online at https://www.facebook.com/HeatherRiggleman/.